Hydrogel by Gentell is a hydrogel wound dressing. It is an Aloe Vera-based and hydrating wound gel that protects the wound bed and enhances the moist environment that is essential to the healing process. This hydrogel dressing hydrates wound tunnels and other hard-to-reach areas. Because it uses less water than other hydrogels, it is more viscous and less runny. The hydrogel wound dressing is crystal clear to enable easier assessment of the wound bed. The Aloe in the dressing is a helpful source of ace mannin and other mono and poly saccharides, amino acids, glycoproteins, vitamins and enzymes. 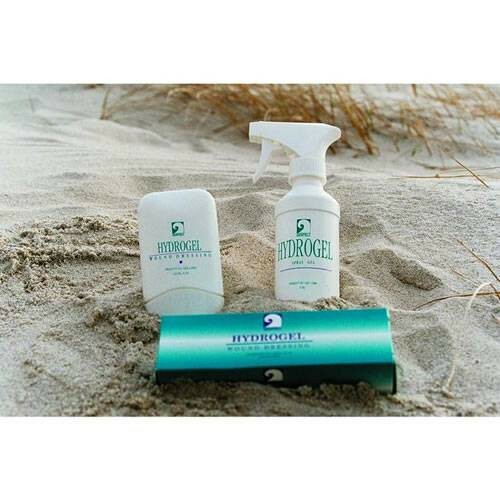 Gentell Hydrogels is sold in 4 oz tubes and 8 oz spray bottles. It is packaged individually, in cases of 6 and in cases of 12.